The small hometown of Ely begins the holiday season Thanksgiving weekend and then offers a variety of events through the end of the year. The Polar Express train begins November 19 and then runs November 25 and 26. 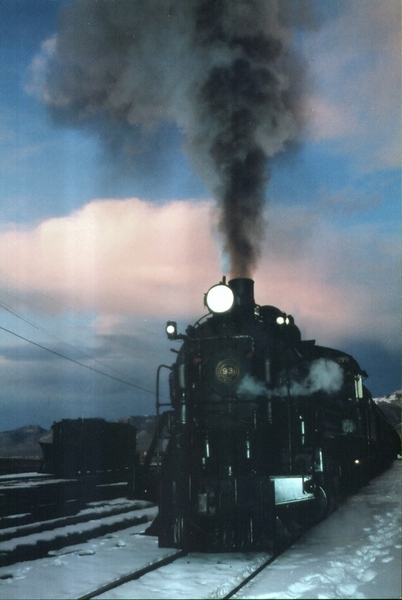 December train rides are December 2-3, 9-11, 16-19, 21-23, and 26-28. Information can be found at nnry.com — or call 775-289-2085. 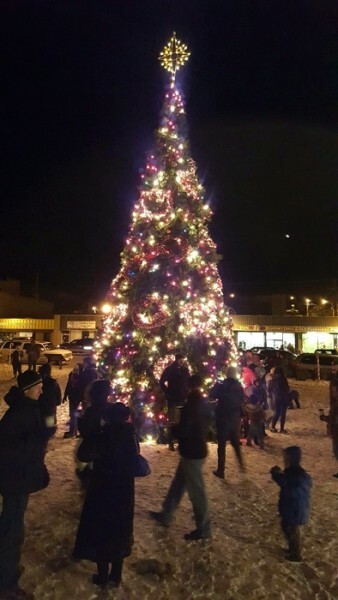 The White Pine Chamber of Commerce will kick off the holiday season with the annual lighting of the Community Christmas tree on Friday, November 25 in the Ely Sculpture Park in the 600 block of Aultman Street. The event will begin at 4:00 pm with entertainment and Treasure maps being handed out. Match the number on your Treasure map to the door prize at each participating business and you may win. The tree lights will be turned on at 5:00 p.m. New decorations have been added this year to the tree. Call for more information at the White Pine Chamber, 775-289-8877. The Ely Art Bank will celebrate its 3rd Anniversary on November 25 beginning at 4 pm. New art work will be on display. The artists will also be on hand to showcase their work. This is a great time to begin shopping for those special items. The Ely Annual Fashion Show will be on Saturday, November 26, from 11 a.m. to 3 p.m. at the Bristlecone Convention Center, 150 6th Street. This is a chance to get that new outfit for the holiday season. All the stores in town who carry clothing will show outfits. Call for more information at 775-289-3720 or 775-289-8877. Proceeds benefit the Citizens Against Child Hunger program to provide back pack lunches. The Sights, Sounds and Smells of Christmas will take place November 25 through December 3 at the Bristlecone Convention Center. Decorated trees, wreaths, and holiday decorations will be on display and then auctioned off on Friday, December 2 at the Festival of Trees auction. Proceeds go to holiday decorations for the community. Call for more information at 775-289-3720. The Crafters Festival is held on Saturday, December 3 at the Bristlecone Convention Center, from 8 to 4 p.m. Handmade items will be available. This is a great time to shop while enjoying the decorations. Call for more information at 775-289-3720. The Christmas Parade takes place on Saturday, December 3 at 6 p.m. in downtown Ely. The parade is sponsored by the Great Basin Service Club, and the floats are decorated with lights. The year ends with the Annual Volunteer Fire Department’s New Year’s Eve Party featuring music to ring in the new year. Proceeds benefit the Fire Department. Plan to visit Ely and enjoy celebrating the holidays in a small, hometown atmosphere, with Christmas lights in every block!